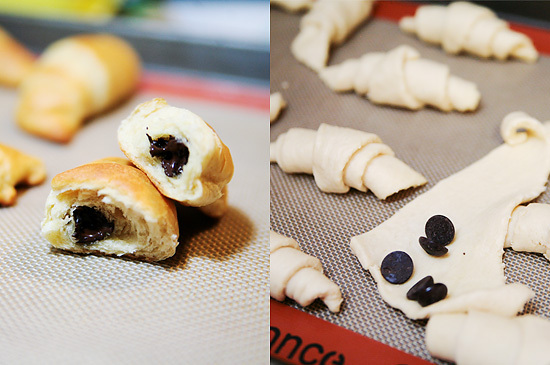 Roll chocolate chips into each croissant. Let cool a bit, then bite into a little bit of heaven! Looks like the perfect last minute dessert when company is dropping by for dinner! And with coffee...oh yum!